Vital Therapies, Precipio, Chimerix, ContraFect and PhaseBio Pharmaceuticals were last week's top gainers. Aveo Pharmaceuticals, Curis, Phasebio Pharmaceuticals, Arcturus Therapeutics and Krystal Biotech were last week's top gainers. On the most fundamental level, biotechnology is any technology or product developed using cellular and biomolecular processes. That means products as simple as bread and cheese could be considered biotech innovations — albeit very simple ones. Today, the biotech field has expanded substantially, and those involved in it are making significant strides towards solving some of the world’s greatest problems. The majority of biotech companies are engaged in the long-term research and development of new medicines and vaccinations. However, the field extends well beyond this focus on healthcare. From increasing agricultural efficiency in order to feed the world’s hungry to developing biofuels to reduce the energy required for manufacturing, the industry is diverse and rapidly expanding, with multiple opportunities for biotech investing. The biotech industry is most widely recognized for its contributions to healthcare. Biotech innovations have the potential to extend and save lives through the early detection of diseases, the development of preventative medications and the treatment of serious, life-threatening illnesses. The Biotechnology Industry Organization calculates that the biotech industry has made more than 250 healthcare products and vaccines available to patients, transforming our understanding of international health and the financial implications of these illnesses. For example, according to the industry report Healing, Fueling, Feeding: How Biotechnology Is Enriching Your Life, the US spends approximately $2 billion annually treating cervical cancer. The report estimates that a concerted national vaccination campaign promoting the vaccines Gardasil® (Merck & Co. (NYSE:MRK)) and Cervarix® (GlaxoSmithKline (LSE:GSK,NYSE:GSK)) could save the healthcare system up to $1.4 billion per year, in addition to thousands of lives. All that said, healthcare isn’t the only sector that benefits from investment in the biotech industry. In fact, it’s helping fields all over the world be farmed more efficiently. Specifically, biotech helps farmers grow crops with fewer inputs, less chemicals and increased nutrition profiles. According to the Healing, Fueling, Feeding report, there was a 25-fold increase in the number of acres being farmed with biotech crops between 1996 and 2000. By 2009, this number increased to 330 million acres of biotech crops grown in 25 countries by 14 million individual farmers. Biotech can also increase efficiency in manufacturing by halving the energy required in certain manufacturing processes and decreasing the steps involved in creating particular chemicals by up to 80 percent. These innovations will decrease dependence on foreign oil by making a sustainable, bio-based economy a viable alternative. If medical biotech helps to create healthier lives, industrial biotech makes advances towards creating a healthier, more efficient Earth. Biotech offers the opportunity to invest in tangible solutions for national imperatives as diverse as public health, economic security and environmental sustainability. All of those benefits make the biotech industry a popular choice amongst investors. 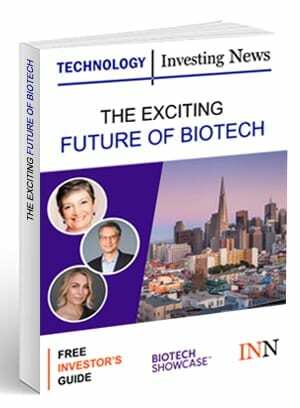 Indeed, according to PricewaterhouseCoopers’ MoneyTree Life Sciences Report, the biotech industry was the second-largest investment destination in terms of dollars in 2014. With $6 billion invested in 470 deals in the past year, biotech investment appears to be a very promising investment in the future. Cannara--A Vertically Integrated Cannabis Company in the Making. Leveraging Quebec’s Market.